8902 SW Caprice Circle is a single family home located in the boat community of River Forest in Stuart Florida. Inside this 1650 square foot home are three (3) bedrooms, two (2) bathrooms with high, vaulted ceilings. The master bedroom has patio access through the sliding glass doors, as well as a roman tub in the master bath. The fully fenced back yard holds the screened patio and covered lanai which is great for entertaining. 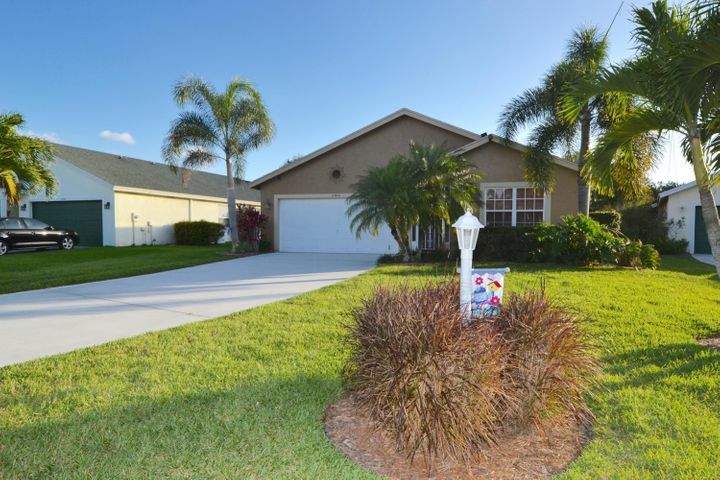 This home is located in River Forest, a boaters community with a boat ramp, boat yard, and dock that connects to the St.Lucie River. River Forest listing courtesy of Distinct Estates, LLC.